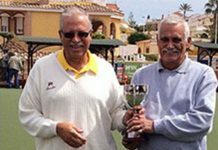 San Miguel Pointers were home to La Siesta Sputniks winning 10 – 2 (98 shots to 56), the best winning triple were James cutting, Brian Allan and Stuart Hemmings 32 – 2. 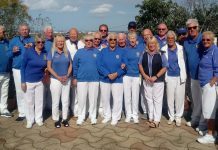 San Miguel Alsatians were home to La Siesta Apollos winning 9 – 3 (89 shots to 77), the best winning triple were Marilyn Shatwell, Gerard Shatwell and Eddie Cowan 20 – 7. 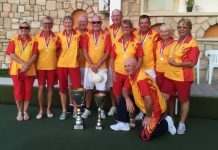 San Miguel Dalmatians were away to Emerald Isle Newptunes losing 4 – 8 (89 shots for 99 against), the best winning triple were Meg Brownlee, Bill Moseley and Mike Bayfield 23 – 11. 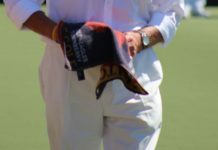 San Miguel Beagles were away to Emerald Isle Titans losing 4 – 8 (83 shots against 93 for), the bet winning triple were Brian Miller, Val Collier and Lin Miller 25 – 12. 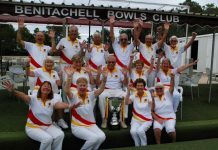 In the Winter League San Miguel were home to Benitachell where they had a great win taking all 12 points (118 shots to 56), on the best winning rink were Jan Allen, Bob Graham, Cyril Medley and Lin Miller 28 – 12. Sponsored by TV Choice, Venture Fleet & Beniconnect. The very last of the SAL Winter leagues and we had two games played..both in the ENTERPRISE league and both at home. 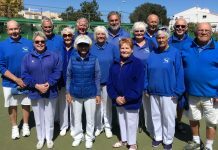 The Albatrosses were against the Quesada Pearls where they had two wins from the teams of Geraldine Fisher, StJohn Broadhurst & Gordon Fisher 20-13. Olwyn Ratcliffe, Stuart Allman & Brian Dunn 15-12. Shots VB 68(4) – 75(8) Q. 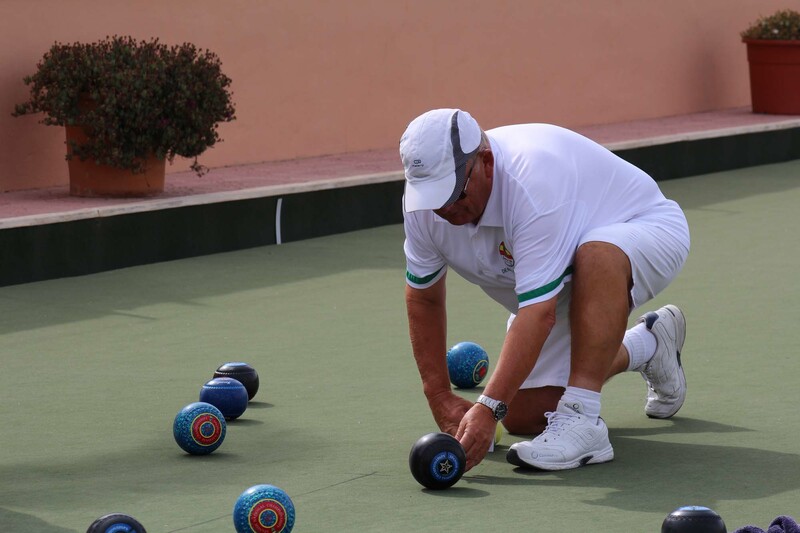 The Drivers had a great result playing the Quesada Diamonds to finish on a high. Four wins from the teams of Frank Barclay, Andy Leggatt & Pat Rafferty 20-10. Sue Jenkins, Jeff Neve & Dave Jenkins 24-15. Gedd Lees, Brian Pointon & Carol Thorpe 23-21. Sharron Kirk, Dane Howard & David Steadman 14-11. Shots VB 100(10) – 77(2) Q. Both the Eagles and the Buggies matches against El Rancho were cancelled due to a bereavement and funeral of one of their members. We send our condolences to the family of Graham Day and all at El Rancho. 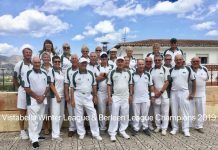 WINTER League…the Penultimate challenge, a top of the league battle against Javea Green to gain as many points as possible to strengthen our chances of winning the league. It was a very closely fought game that could have swung either way but I’m pleased to say we did it with three wins plus the shots. 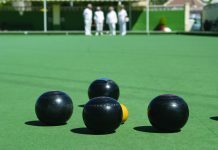 Winning rinks were Sue Kemp, Bert Ewart, Mike Regan & Brian Zelin 24-18. Lynne Bishop, Mo Foulcer, Charlie Watkins & Martin Foulcer 17-11. Del Gunning, Geraldine Fisher, Arthur Brown & Gordon Fisher 18-16…great last shot again…Gordon! Shots, VB 86(8) – 80(4) JG. The Berleen team..what can one say? Well done for being the Campeones of the Berleen league. Congratulations Brenda & Peter Rees and Susan & David Jenkins, we are so proud of you! Away at San Luis for the last Friday Southern League the Toreadors won on two rinks. Well done to Julia and Ian Hamilton skip Graham Smyth, Sheila Roberts, Sue Bounds skip Phil Goble. Shots Toreadors 81 – 102 Leopards. Points 4 – 8. Away at San Miguel the Matadors won on three rinks and lost by one shot on one rink. Well done to Pauline Merry, Don Cleeter skip Margaret Finlayson 16 – 10, Paula Cleeter, Pauline Woodfine skip Barrie Woodfine 15-14, Tanya Oliver, Danny King skip Jack Burrell. Shots Matadors 67 – 72 Boxers. Points 6 – 6. 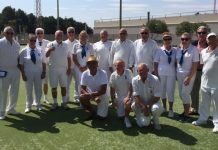 This was a rearranged fixture brought forward from 10th April and Monte Mar visited Benitachell. It was a enjoyable match with both teams winning two and drawing one. Well done to the winning teams Lynne Armitage, Mike farrelly, Jack Burrell skip Dave Melville, Tanya Oliver, Howie Williams, John Hunt skip Phil Goble and the drawing team Sheila Roberts, June Young, Pauline Woodfine skip Barrie Woodfine, well done Monte Mar. Shots Monte Mar 80 – 80 Benitachell. Points Monte Mar 6 – 6 Benitachell. At home to Greenlands Maples for the last match of the season we won on one rink. Well done to Sheila Roberts, Diane Horsington skip Jan Gatward. Well done to Greenlands Maples winners of the league. 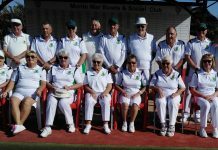 Shots Toreadors 64 – 98 Maples. Points 2 – 10. Away at San Luis for the last match of the season the Matadors won on two rinks and drew on one rink. Well done to the winning teams Keith Simpson, Pauline Merry skip Chris Merry, Paula Cleeter, Don Cleeter skip Margaret Finlayson and the drawing team of Tanya Oliver, Mike Farrelly skip Jack Burrell. Away at La Marina we had a very good result winning on four rinks and drawing on one rink, well done everyone!!!! After the match we all enjoyed a meal and a few drinks. Shots Monte Mar 92 – 77 La Marina. Points 11 – 1. Only three matches to report this week. Monday 25-03-19 The Explorers we’re at home to San Luis Trekkers. The points were shared 6 each. The shots were 76 for and 84 against. They finished 7th in the Enterprise division. The Pathfinders were away to Greenlands Sycamores. Again the points were shared, 6 each. The shots were 84 – 96 against. Best winning rink was Reg Jackson, Dave McGaw and John Rae, 21-12. They finished 5th in the Discovery division. Wednesday 27 – 03 – 19. The Winter league entertained Monte Mar. Points were 1 for and 11 against. Shots were 77 for and 92 against. The five loosing rinks were close but La Marina didn’t quite make it. The one point was won by Mo Taylor, Mike Smith, Phil Pape and Shirley Hadaway, gaining a draw of 17-17. They have two more games left to play. Good luck. The Ospreys finished 5th in Southern league division A. The Merlin’s finished 3rd in Southern league division C.
On Sunday May 19th, La Marina are holding a Table Top Sale at the Club. If you have any suitable items please contact Lorita Rae on jvmrae@talktalk.net or phone 966 79 7257. The final score being 83 shot for to 66 against giving us 8 points to 4 against. Very well played to all of our team, we each played our part in helping the Falcons to move up a place to remain in division ‘B’. We are equal in points to Quesada Rubies, but we just managed to pip them at the post on shots. The Royals with their last match result also moved 2 places up the table to finish in 7th place, only 1 point behind 6th. We are a small membership club and to remain in the ‘B’ division for both the leagues is an excellent result for us. Again very well played to everyone who has played throughout the winter season and a special thanks goes to our Team Captain Peter Davis and Vice Captain Ron Odell for their efforts in putting a team together. We know it is not an easy task. Have a restful 2 weeks break Team Horadada and we will start all over again for the summer leagues. Keep em’ bowls a rollin’. Sunday brought our Irish friends from The Gate/Crumlin to the Isle and the game was played in a fantastic spirit and this year the Isle came out winners 5-1, so they take the Trophy. SAPS continues throughout the summer, great value at 5 Euros 2 hours bowling, Shoes and Bowls supplied and coaching for novices. 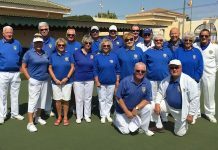 San Luis Bowls Club Report 20.04.18.